Finding the optimal position of a cross-dock center which saves time and distance driven. Whether your company is a multinational corporation or a local firm, it is desirable to optimize the number of kilometers traveled by your goods and the time that goods spend on the way to a customer in a particular region. In the case of the Regional Distribution Optimization Project our client was searching for optimal location for a cross-dock center. At the same time he wanted to compare the ideal location with the current possibilities of logistics partners in the region. Long distance between cross-dock center and central warehouse had an impact on the costs of primary transportation. And even though the client´s rates for secondary transportation were based on kilograms not kilometers, the unoptimal location of cross-dock center had impact on the prices offered by the logistics partner in tenders. With data on shipments from a representative period, we mapped the current situation in terms of distances and time driven. We have taken into account not only the secondary distribution but also all primary logistics. In the case of our client, primary logistics also differs according to the type of goods. In the second step, we found the ideal location for cross-dock center. For this we use a specialized logistics software. Its algorithms take into account the location of central warehouse, the location of customers, transported volumes and road infrastructure. Our client wanted to compare the ideal location with current locations of cross-dock centers of several potential logistics partners in the region. We calculated distance and time driven for each scenario based on geolocation data. We calculated costs of each possible scenario and we compared all the scenarios. As usual we also visualized our findings in maps and charts and prepared a presentation for client´s further use. Since the market evolves and the client was about to do a tender for logistics partner in the particular region we created also an interactive comparison tool. It enables the user to compare possible scenarios with different variables, especially price offered by particular logistics partner for deliveries from particular cross-dock center. During data analysis we noticed that the client´s distribution days in the region are not optimized. 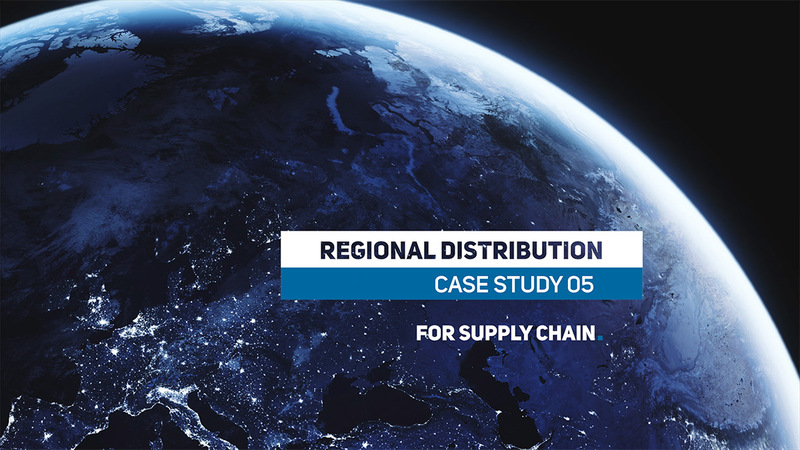 We performed additional mapping of the logistics network from the point of view of demand and designed the ideal subregions and customer groups for individual delivery days. This optimization also saves lots of distance and time driven.